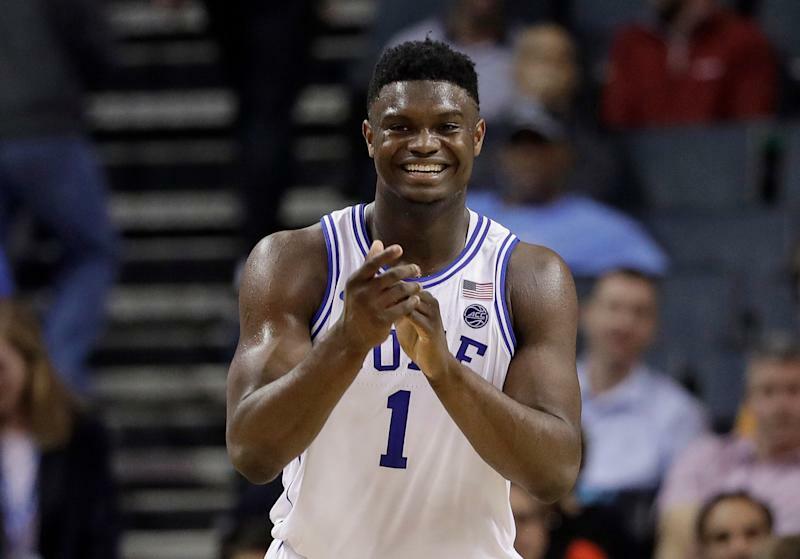 An estimated 47 million Americans will place $8.5 billion in total bets on this year’s NCAA Division I men’s basketball tournament, according to the American Gaming Association. That’s twice as many people betting on March Madness than bet on the last Super Bowl . But only 4.1 million of those 47 million people will place their bets at a legal casino or using a legal app. It’s the first March Madness tournament in what AGA president Bill Miller calls “post-PASPA America” after the U.S. Supreme Court last May struck down PASPA, the federal ban that kept states from legalizing sports betting. As a result of the SCOTUS decision, individual states can now move to allow sports betting in their state, and seven have done so, joining Nevada, leaving eight states with legal betting at current count. Those states are: Nevada, Delaware, New Jersey, Mississippi, West Virginia, New Mexico, Pennsylvania, and Rhode Island. Another 22 states have legislation pending to legalize sports betting. The AGA’s betting projections come from an AGA survey of 11,002 U.S. adults, conducted by Morning Consult from March 1 through March 7. The bulk of the bets are on No. 1 seed overall Duke University (surprise!) to win (a predicted 29% of bets), followed by Gonzaga (9%), UNC (8%) and Kentucky (7%). The AGA says that Americans have placed $5.9 billion total in legal bets since May, when SCOTUS struck down PASPA. Of course, that’s just a sliver of all the bets placed since that time. In fact, a handy AGA map, based on its survey this month, shows what proportion of the population of each state will create a bracket or place a bet on this year’s March Madness tournament. 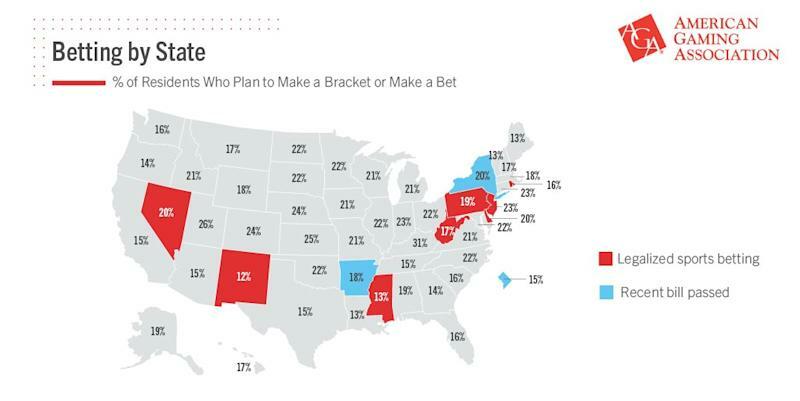 Utah, where sports betting is still completely illegal, has the highest percentage, with 26% of the Utah population planning to do a bracket or bet. The next biggest participation states will be Kansas (25%), Nebraska (24%) and Colorado (24%), all states where betting is still illegal.